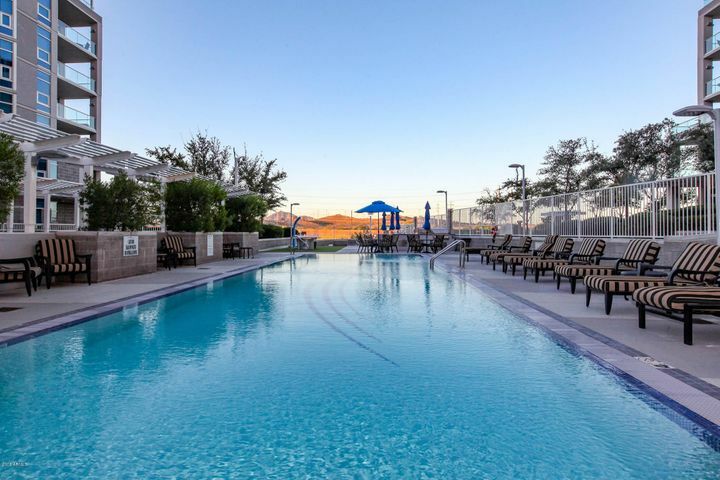 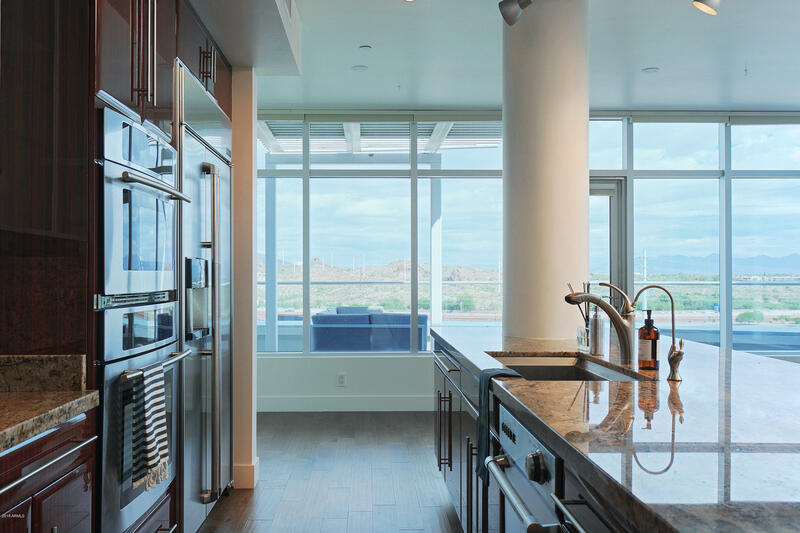 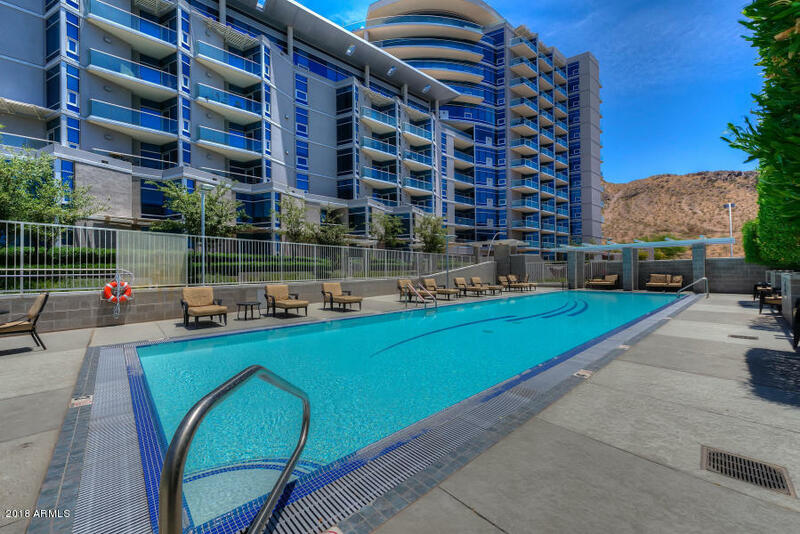 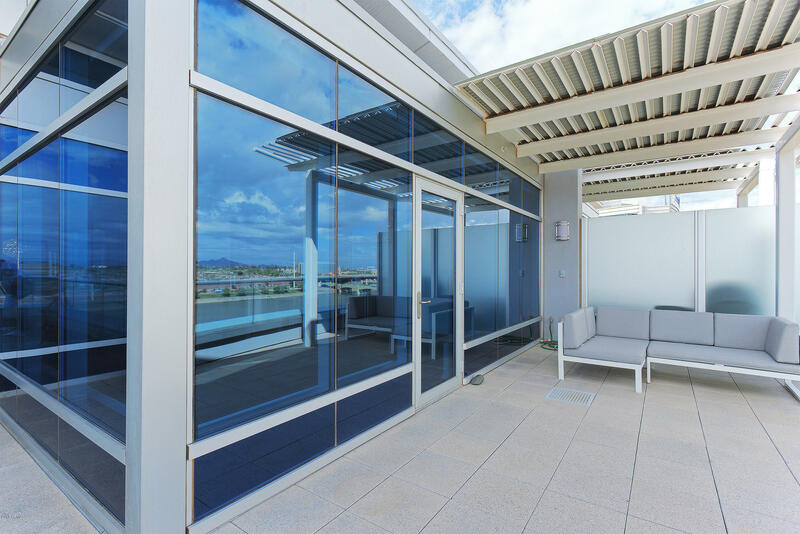 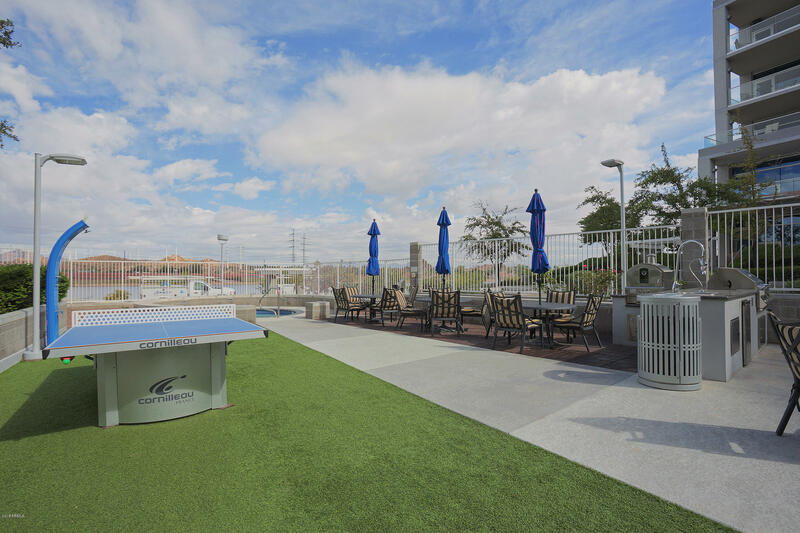 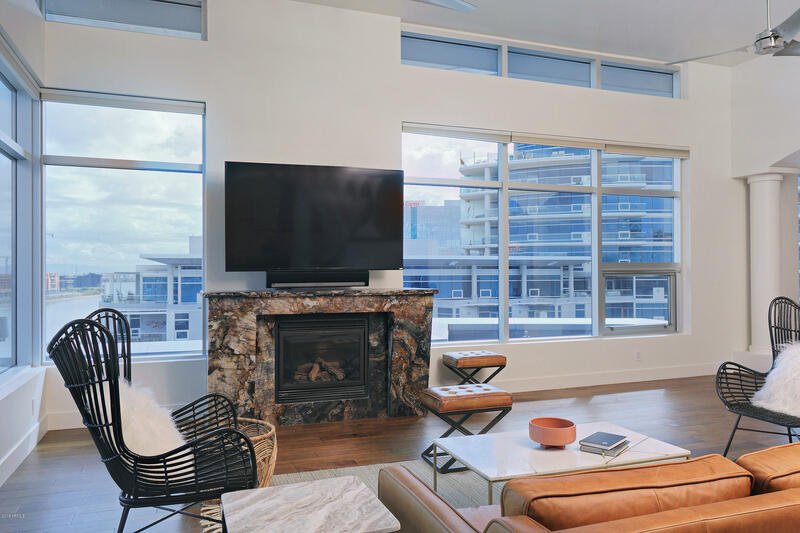 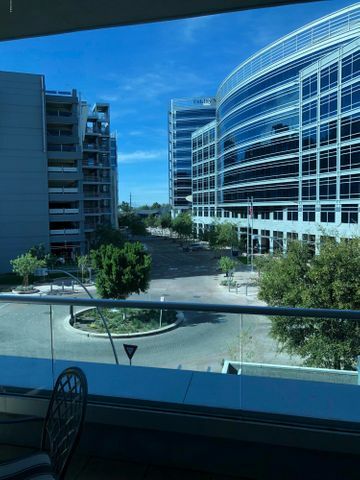 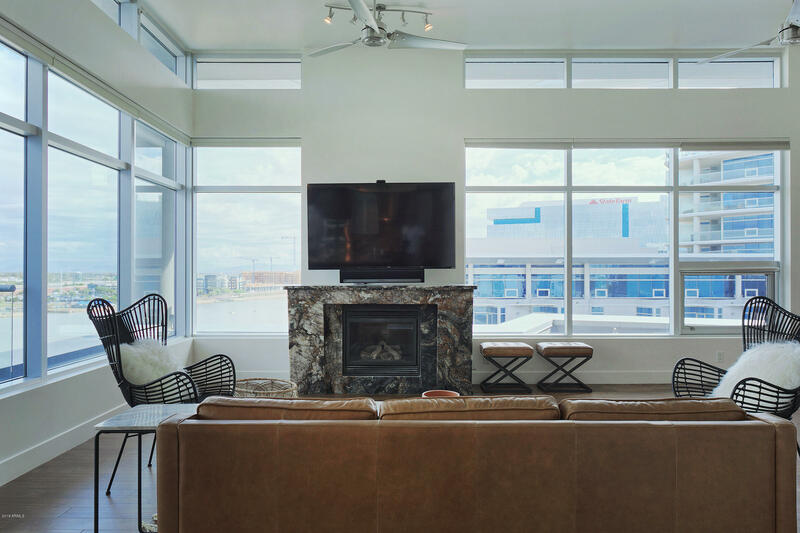 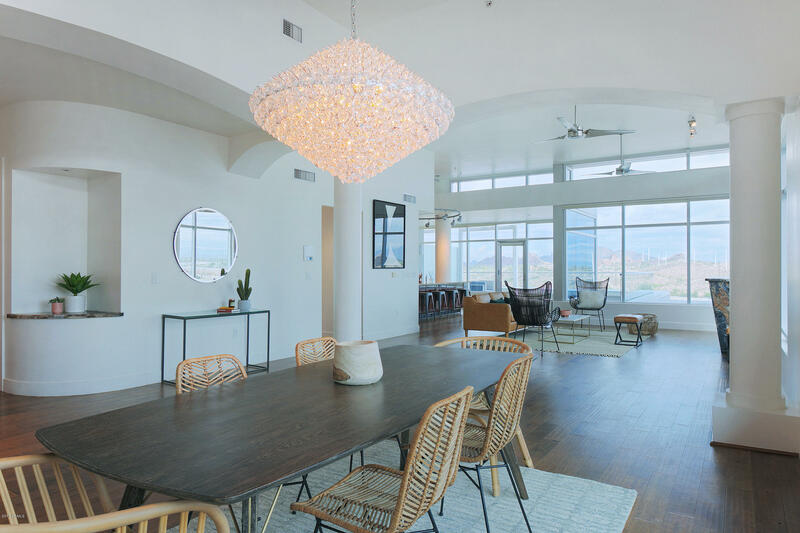 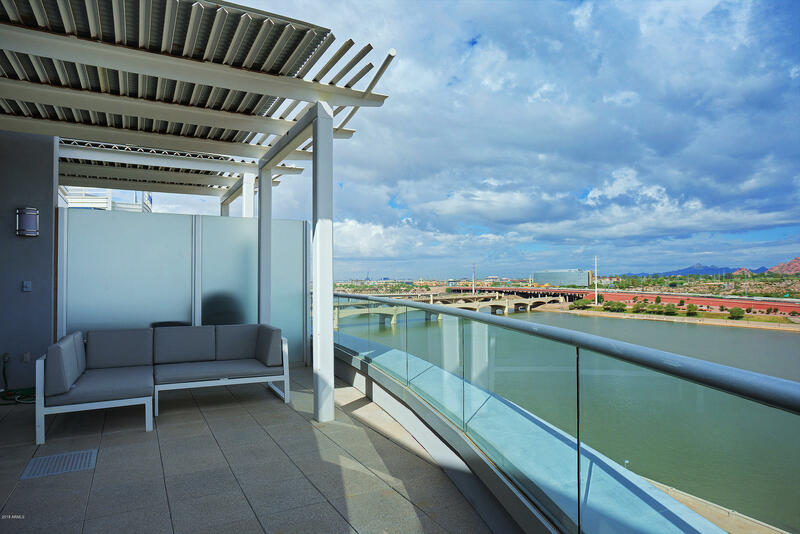 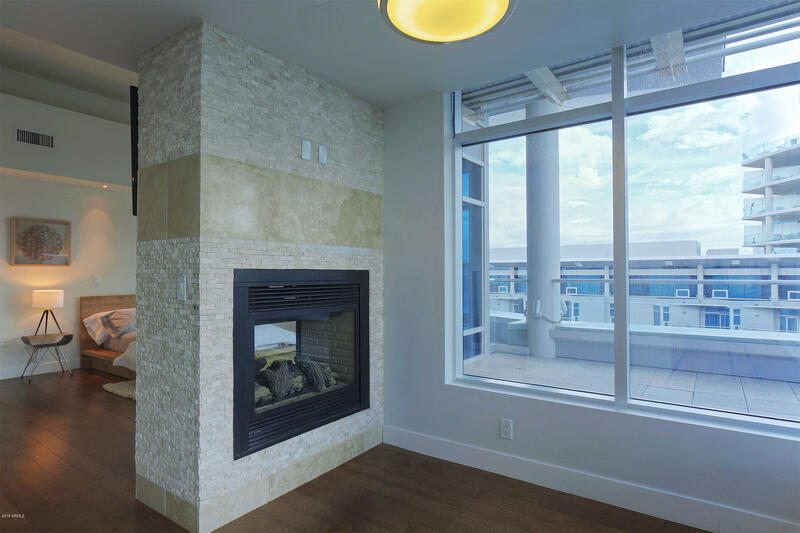 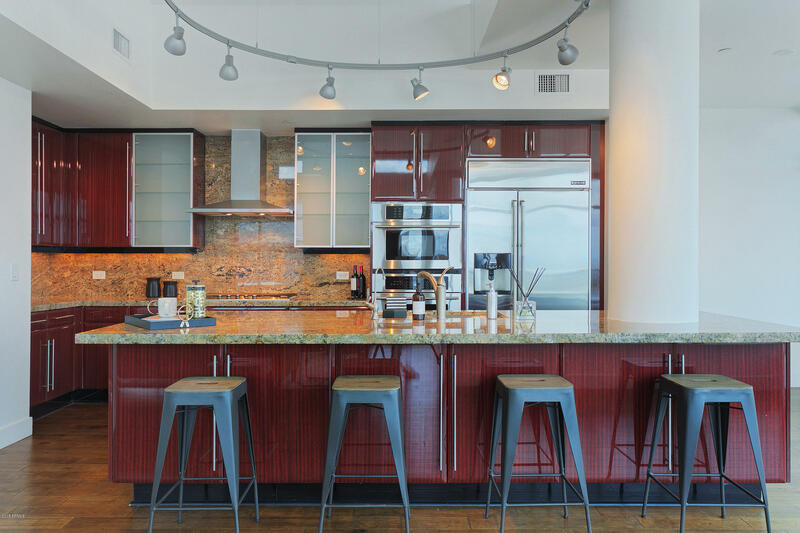 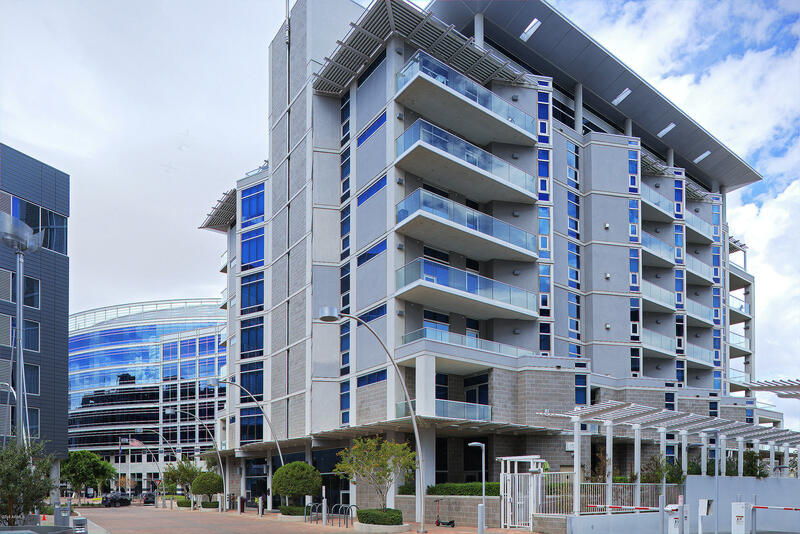 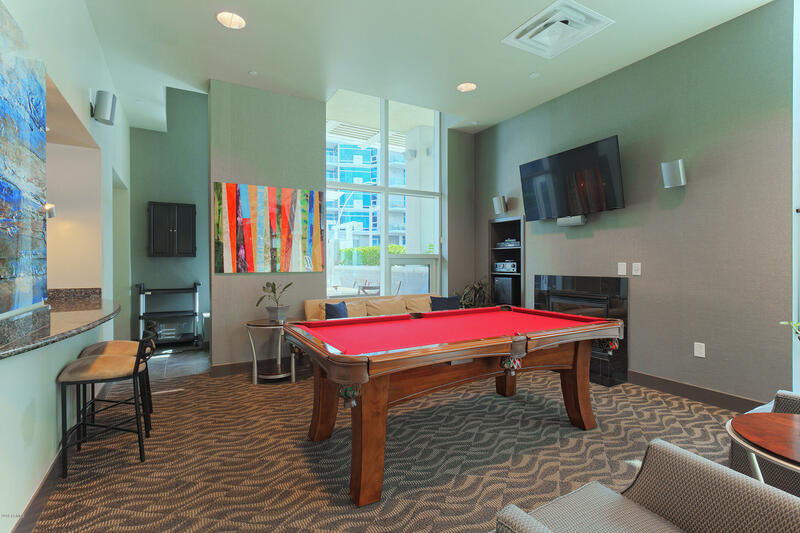 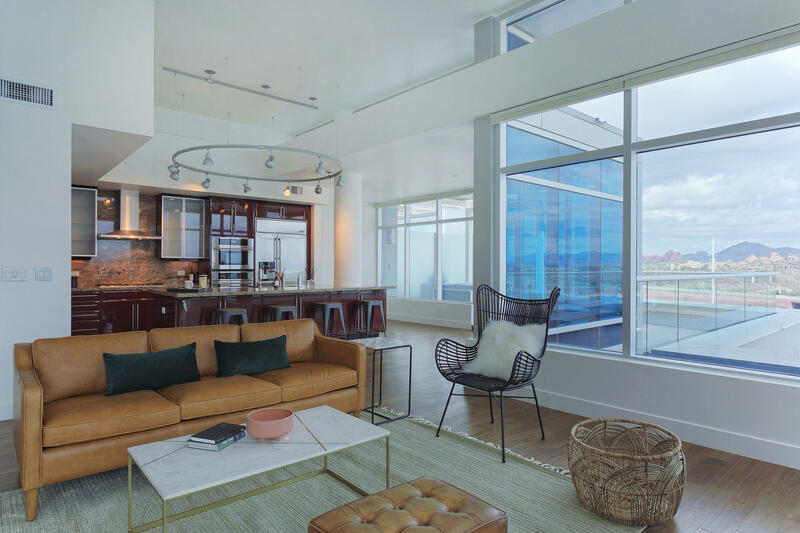 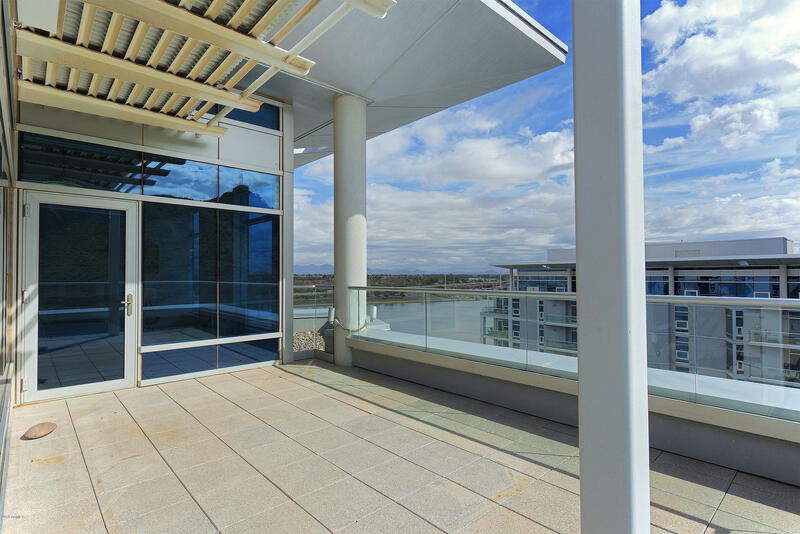 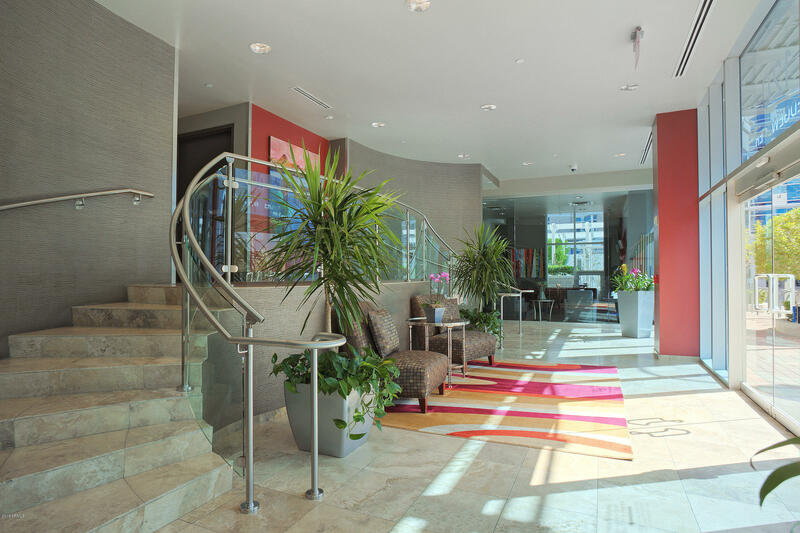 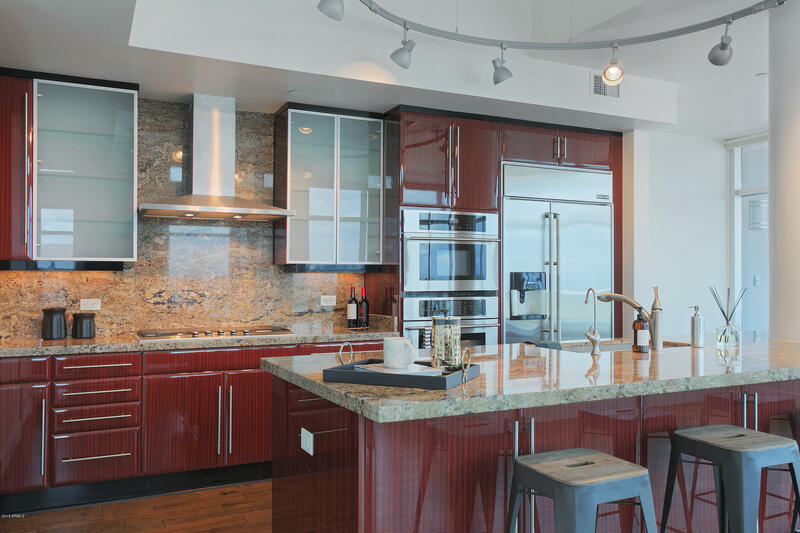 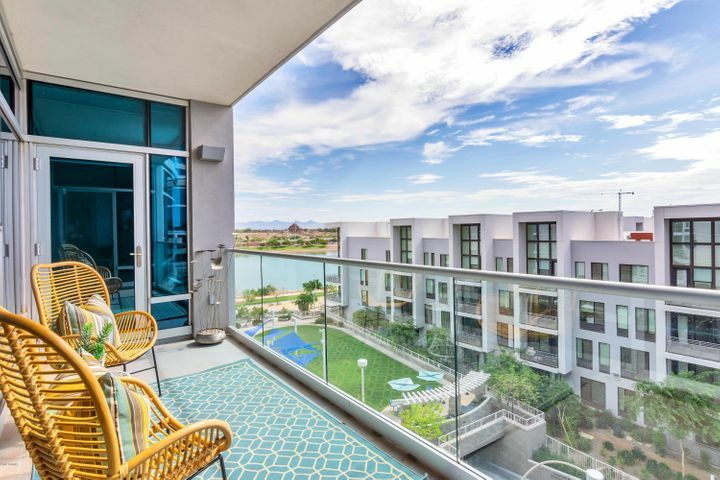 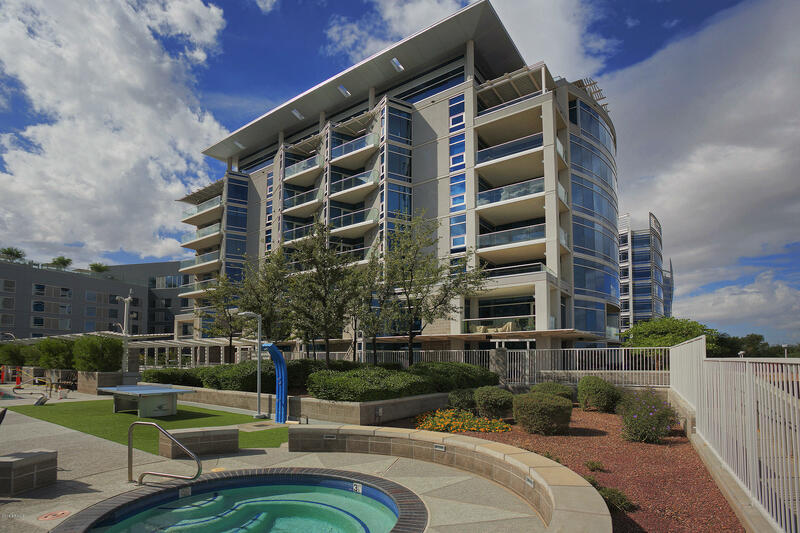 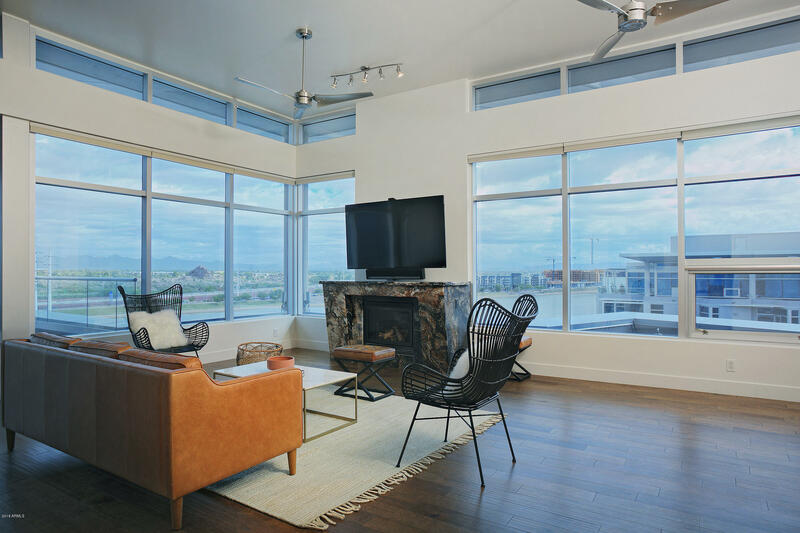 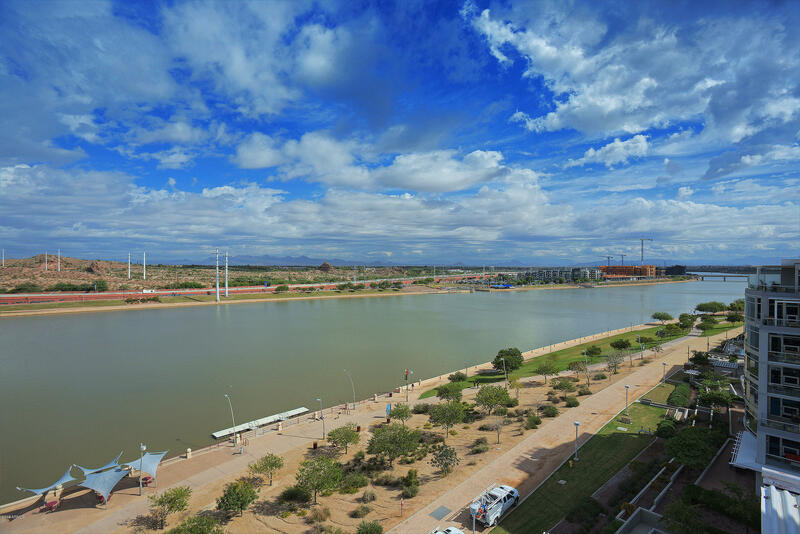 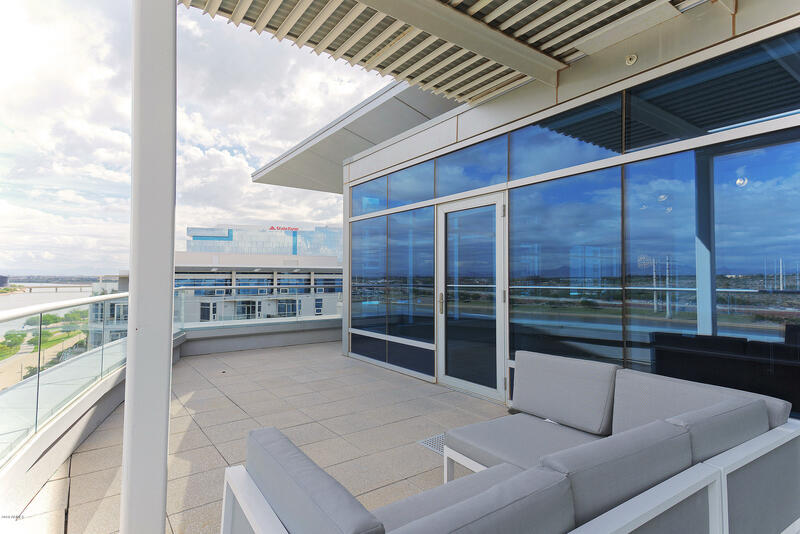 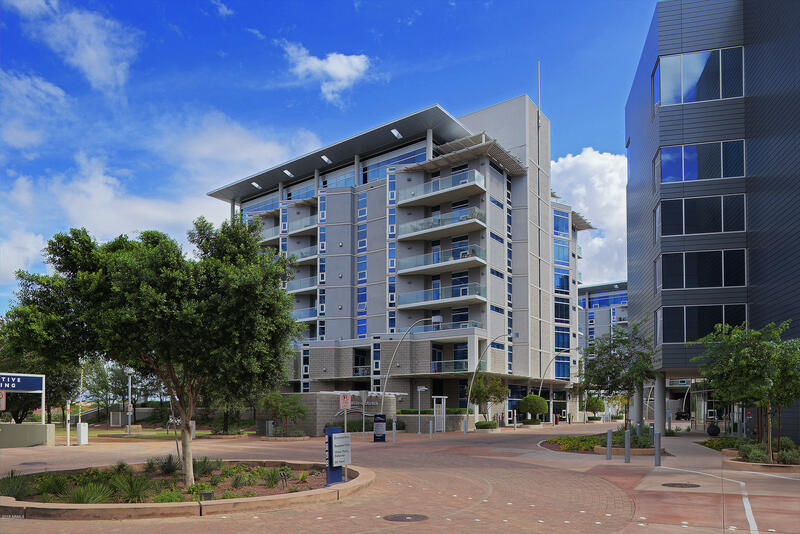 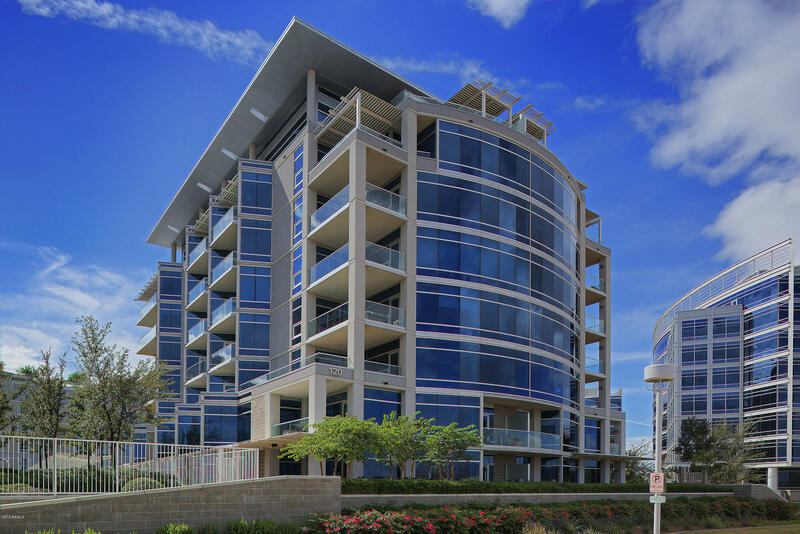 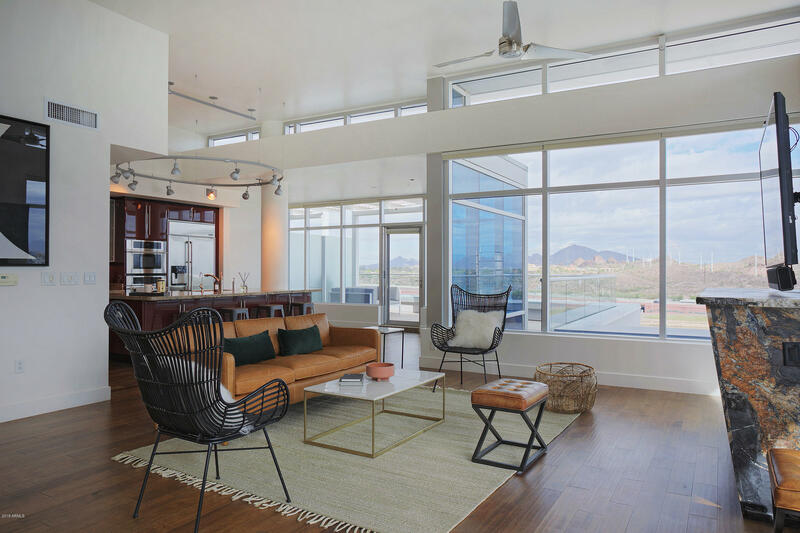 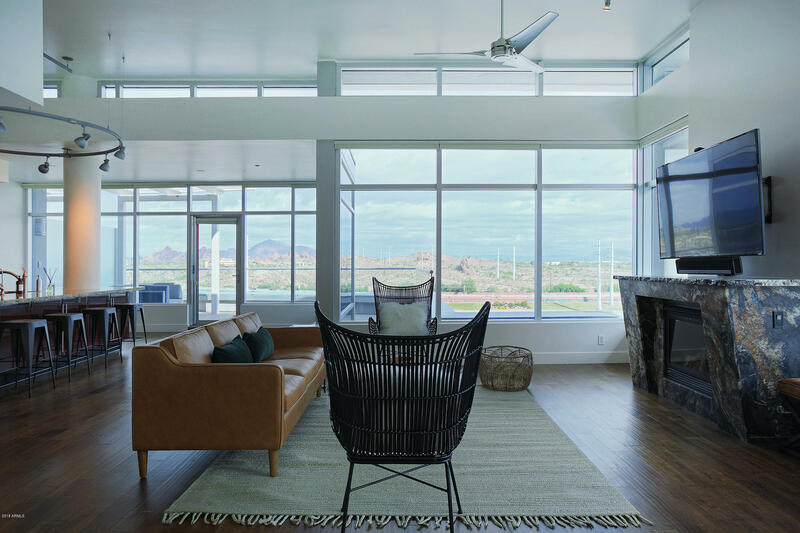 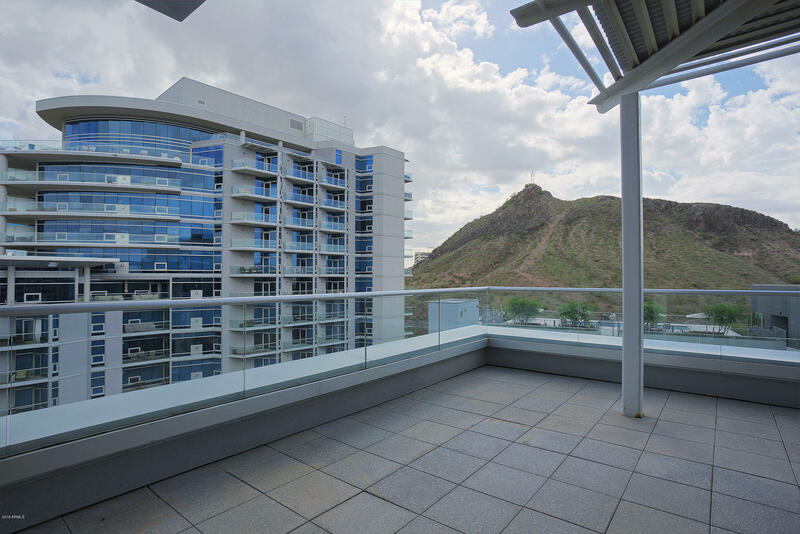 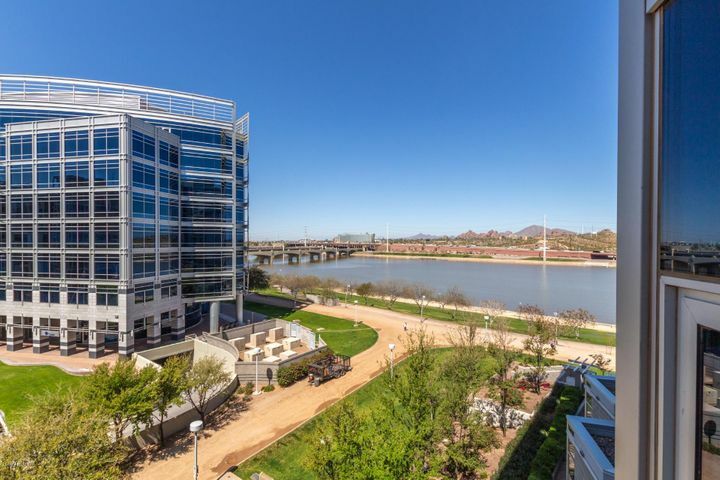 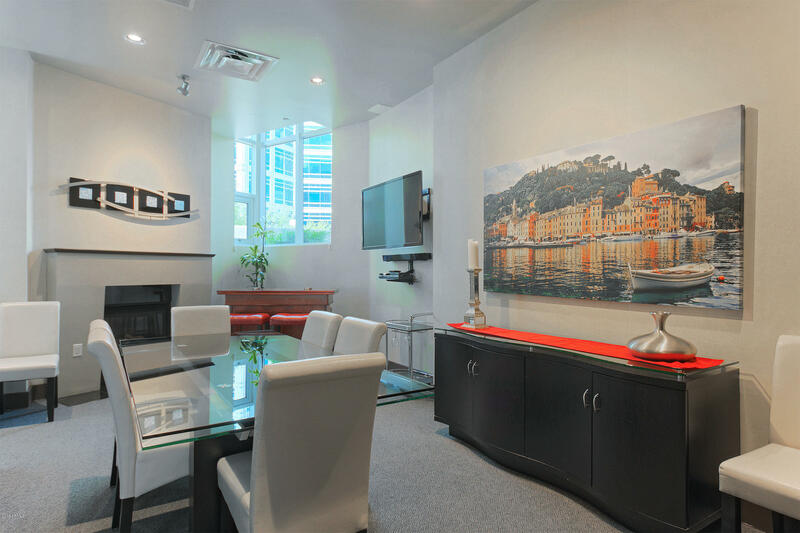 Penthouse living at its finest on the waterfront at Tempe Town Lake! 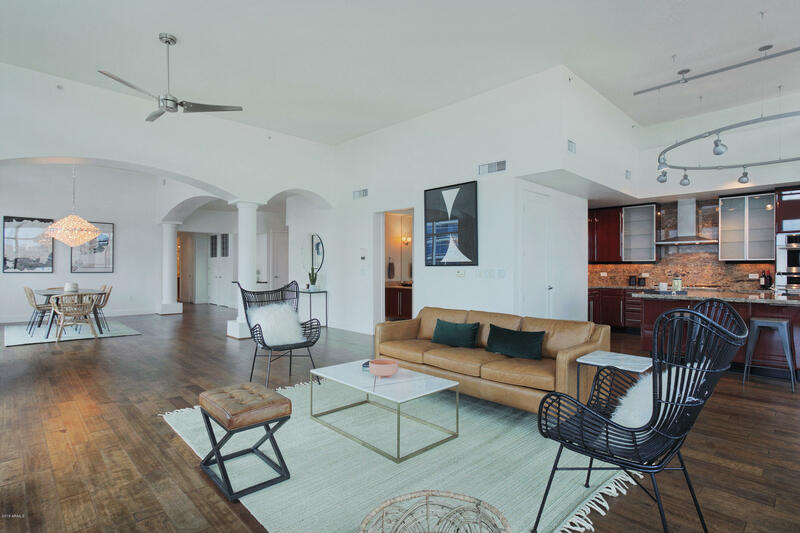 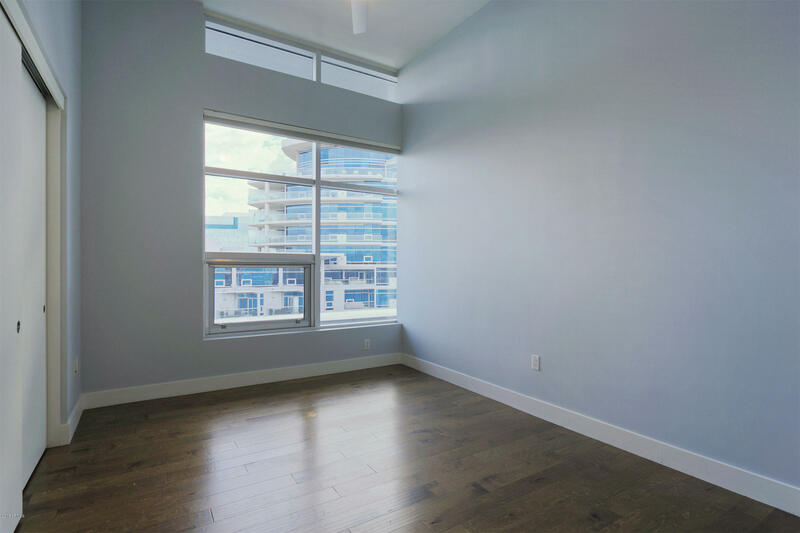 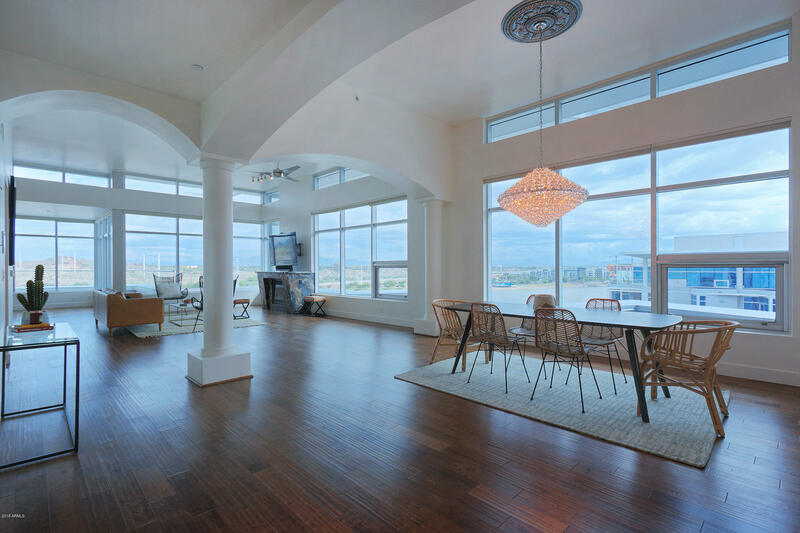 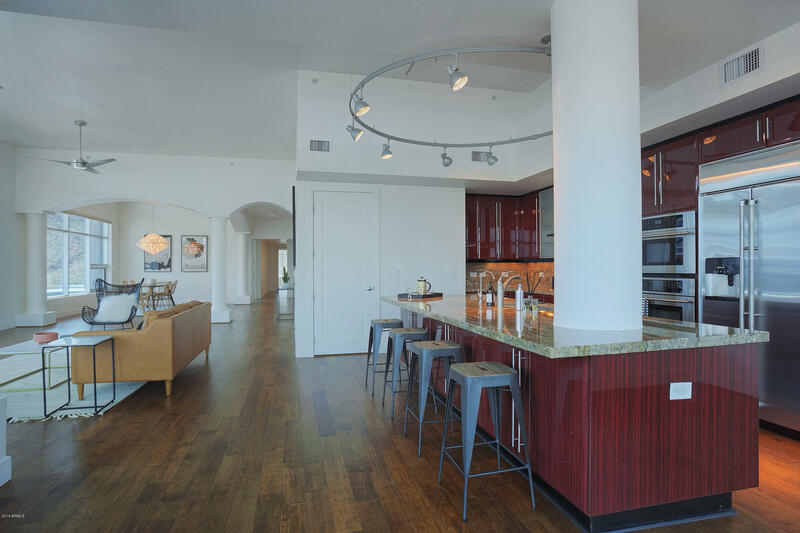 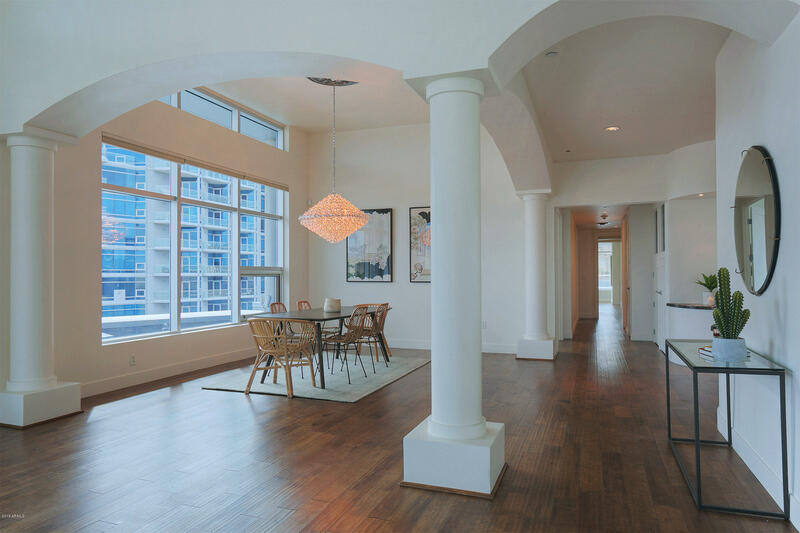 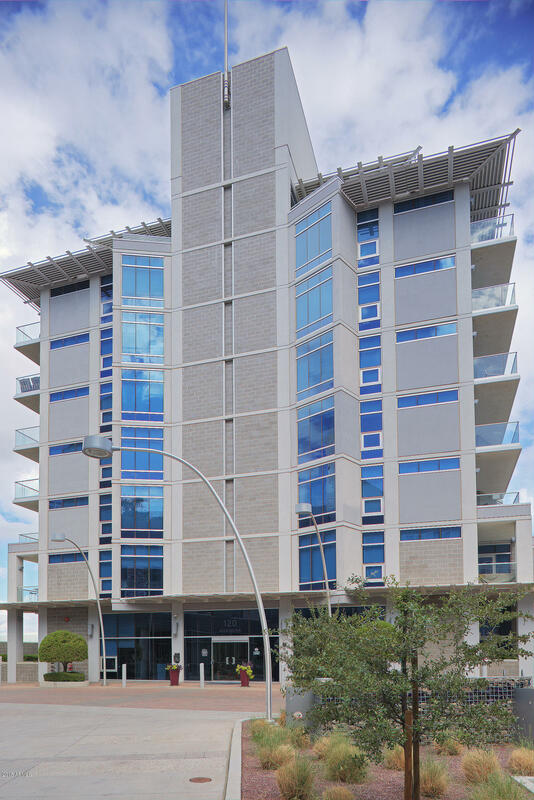 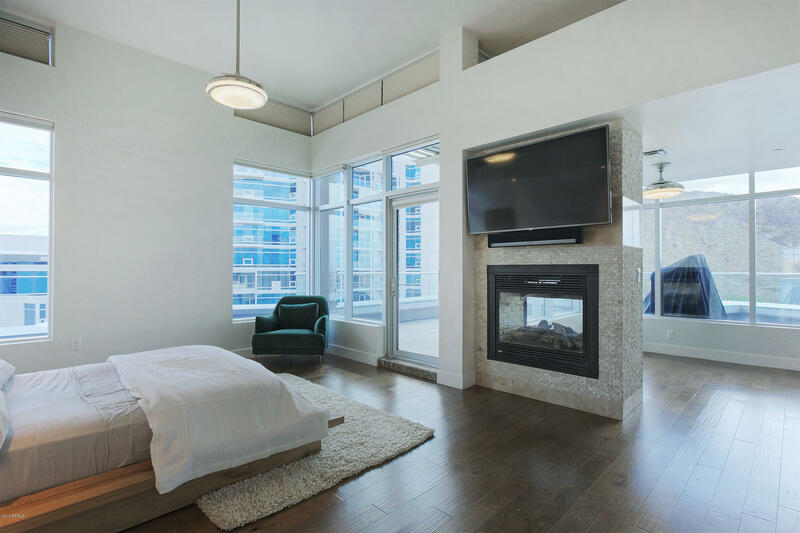 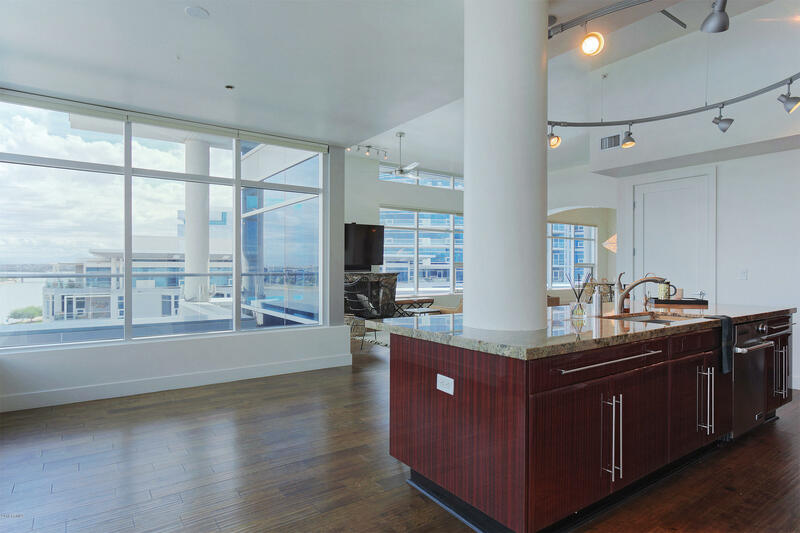 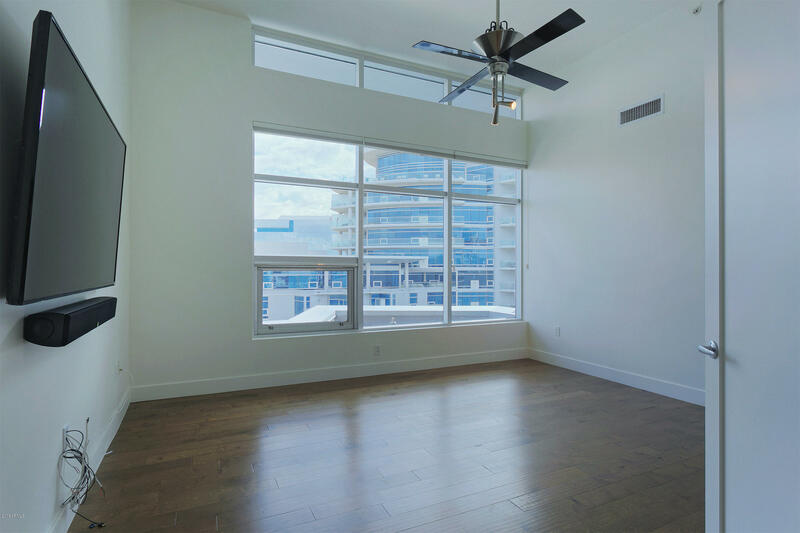 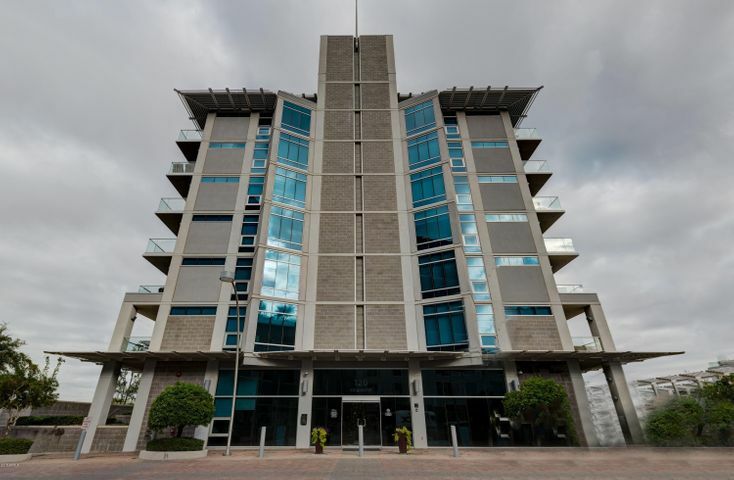 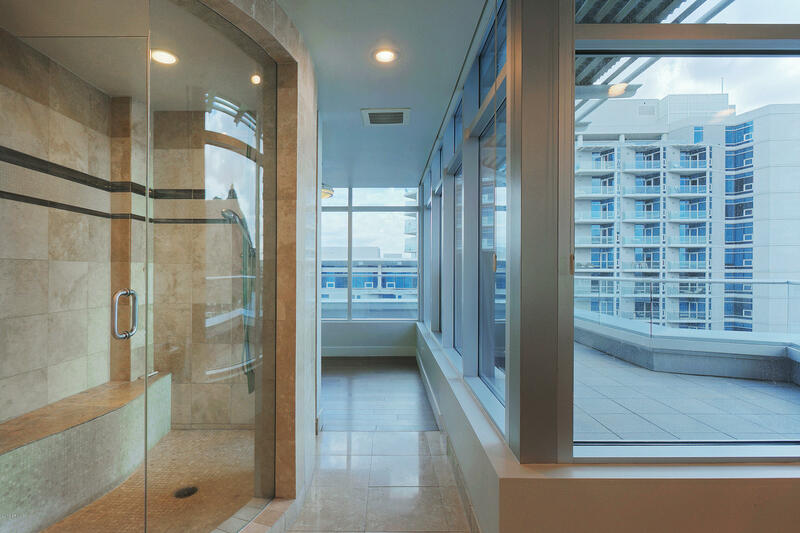 This 8th floor unit features floor-to-ceiling glass, engineered wood floors t/o, & an airy open floor plan. 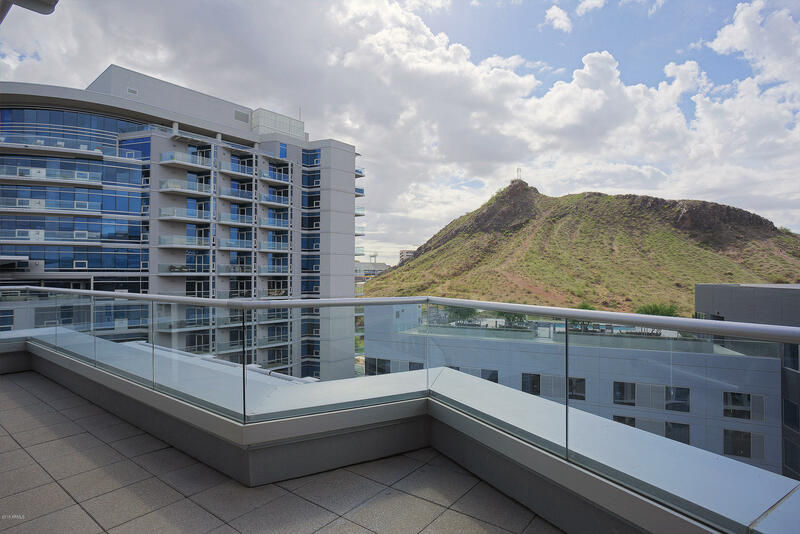 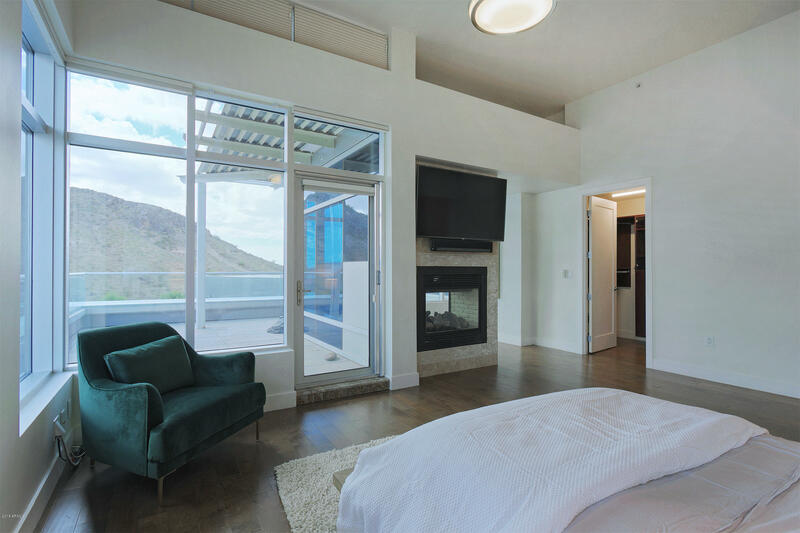 Multiple balconies offer panoramic views of the lake, surrounding mountain ranges, city lights, & A Mountain. 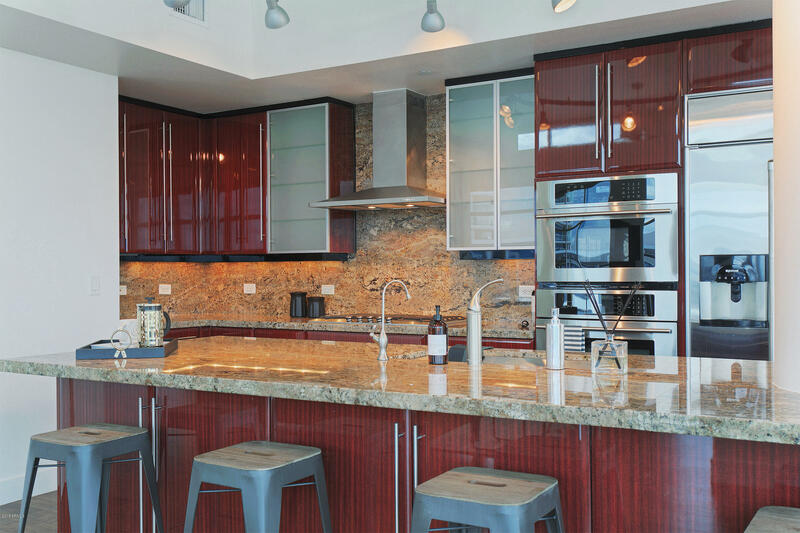 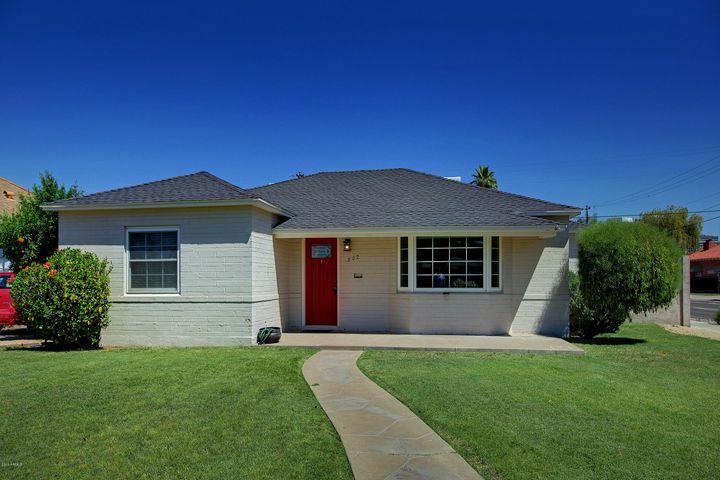 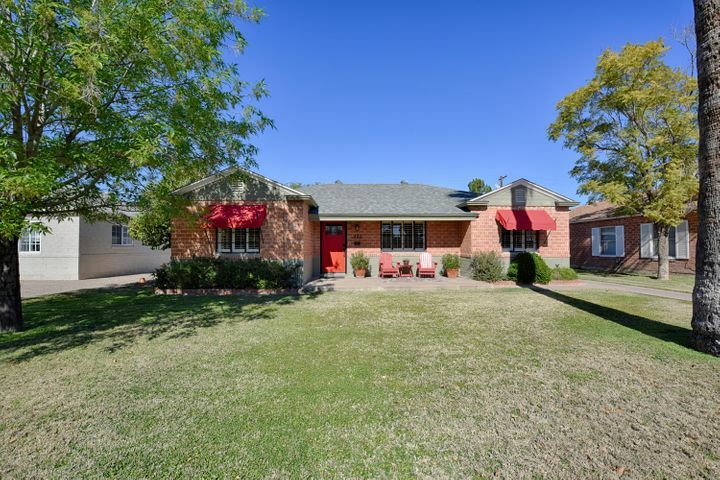 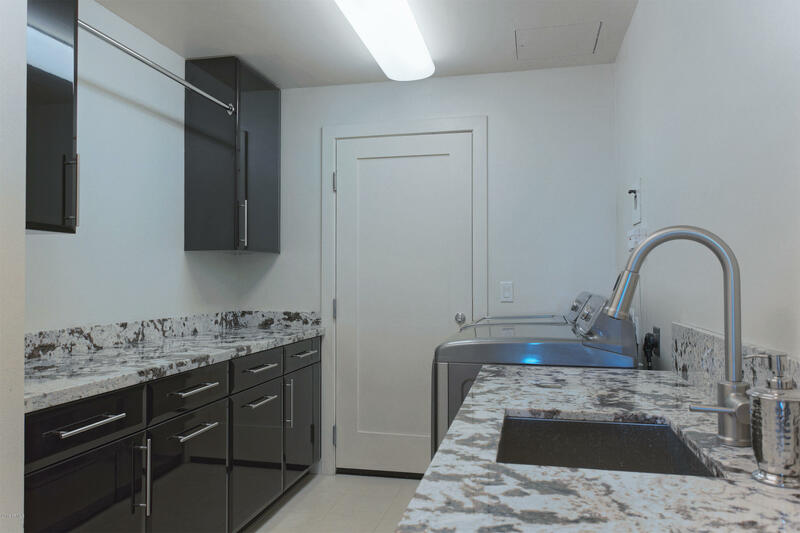 Designer kitchen has Jenn Air appliances, huge slab granite island, & large walk-in pantry. 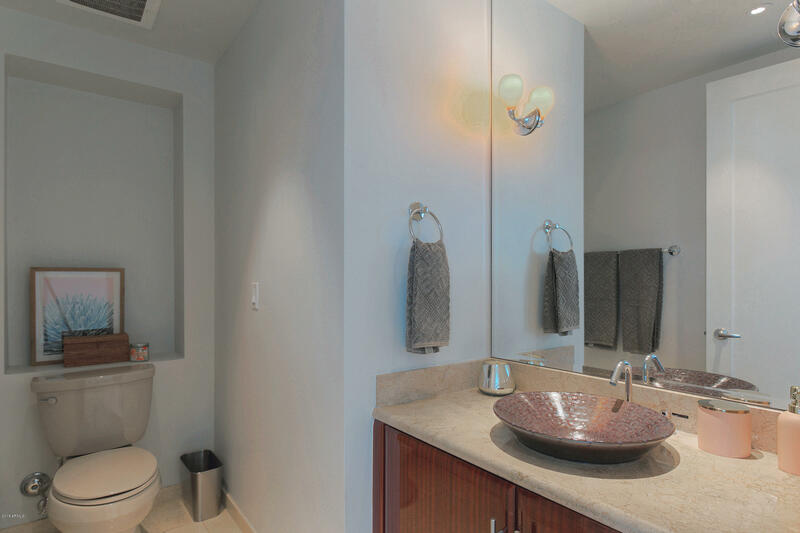 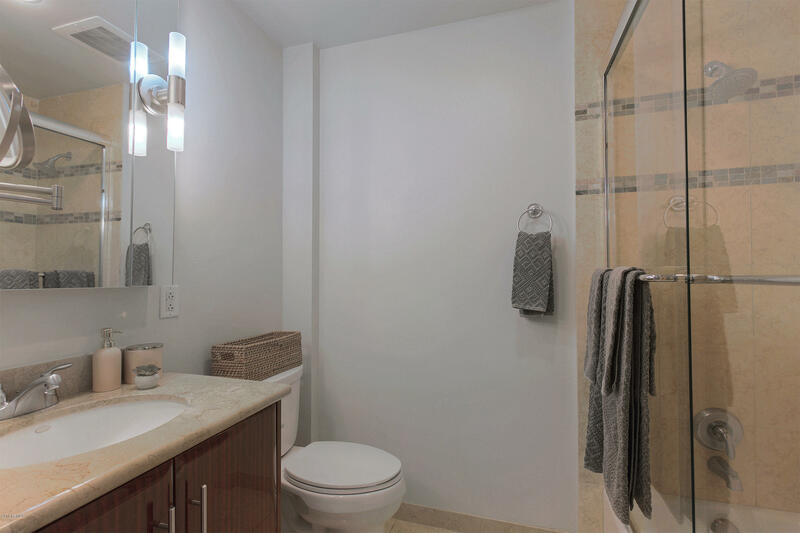 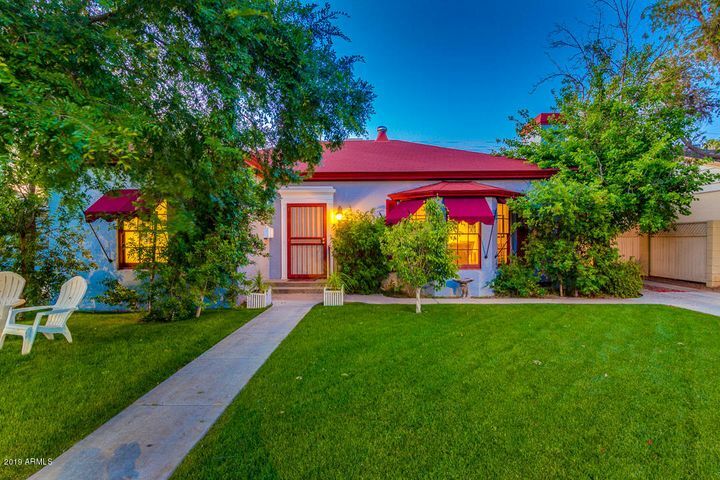 Large master suite w/sitting room, two-way fireplace, Classy closets, custom steam shower, soaking tub, & dual vanities. 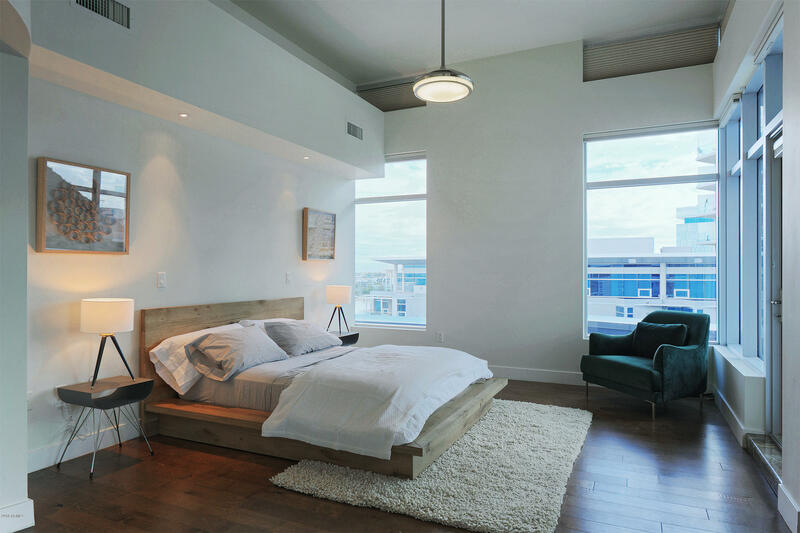 Many extras like motorize blinds & cutting edge surround sound. 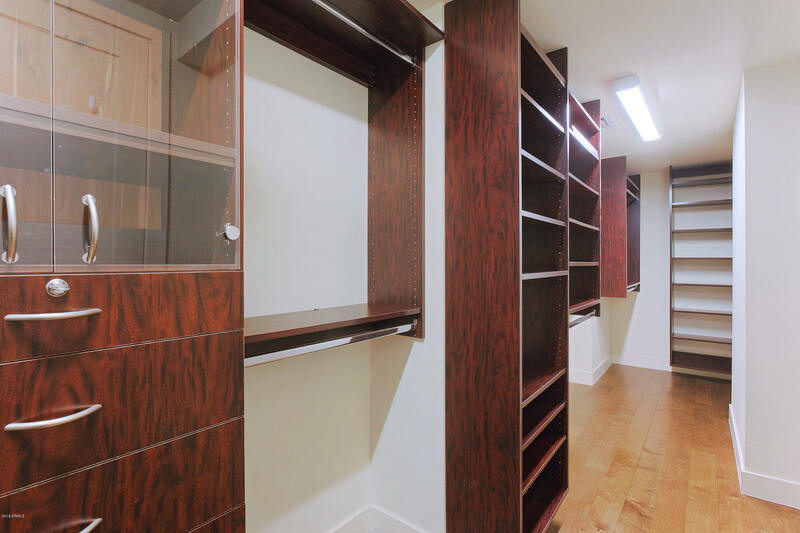 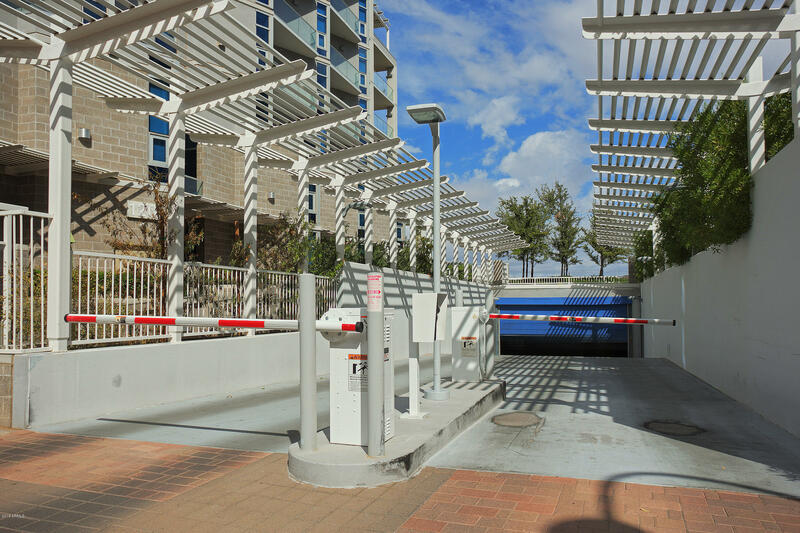 3 underground parking spots & storage unit. 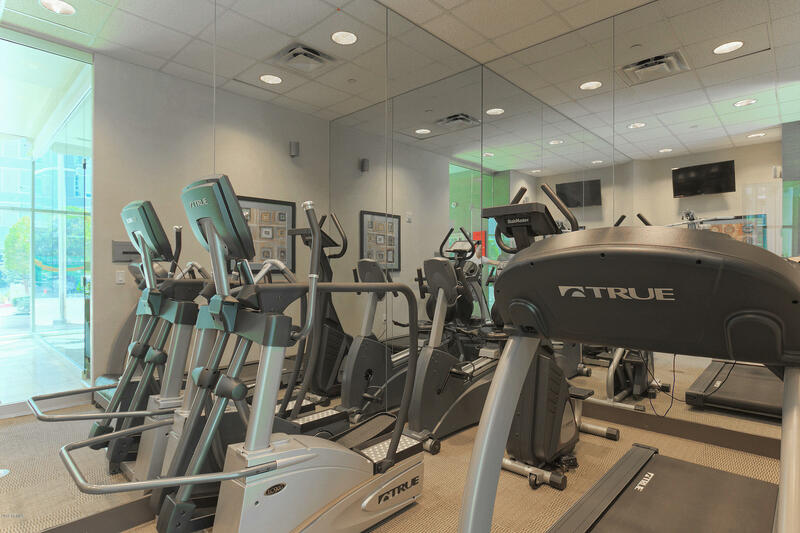 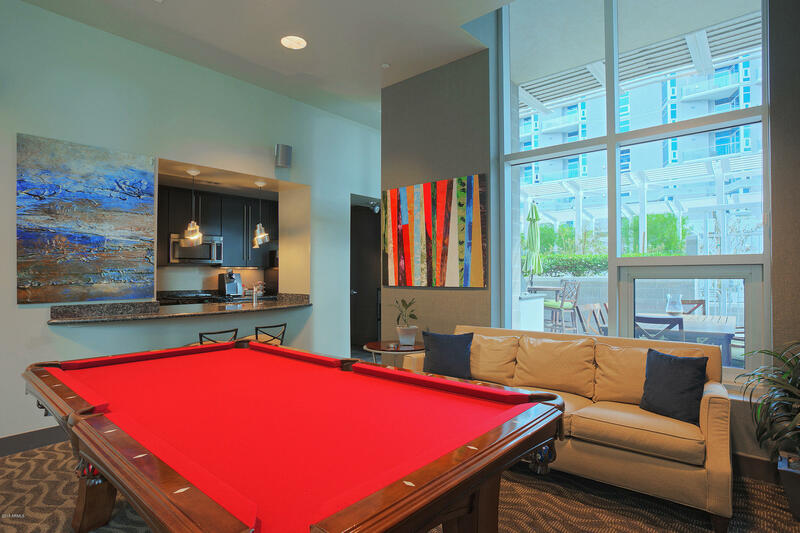 Amenities include private entertainment lounge, heated pool/spa, outdoor kitchen, concierge, & doorman. 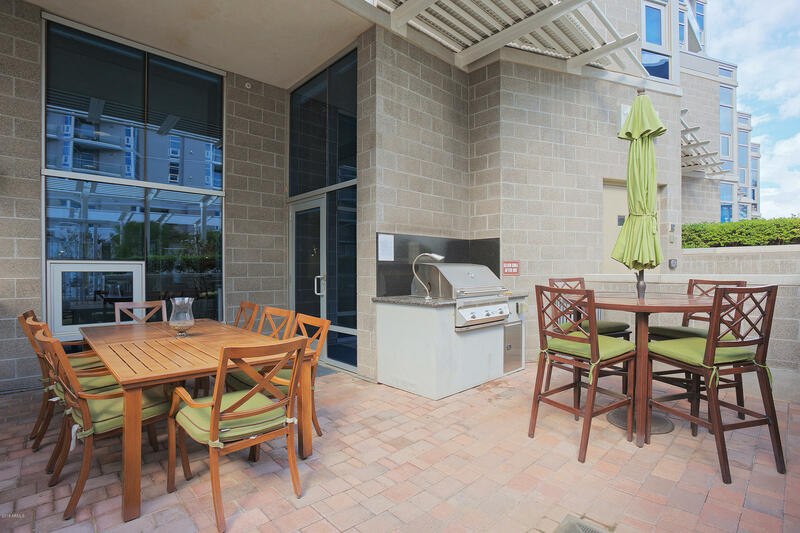 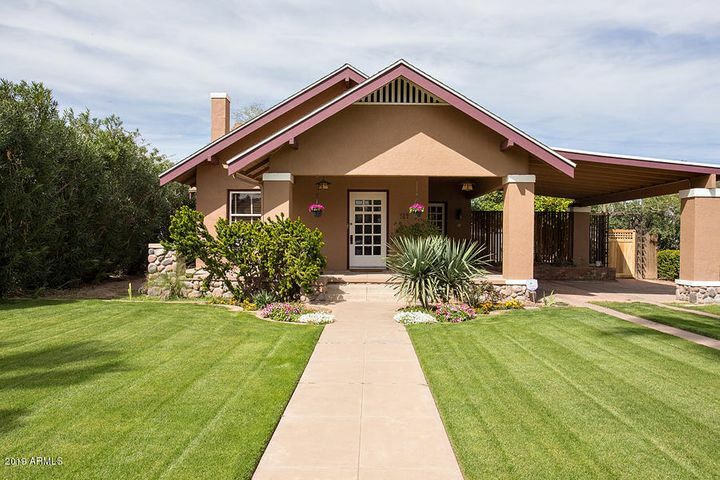 Right by the airport for frequent travelers. 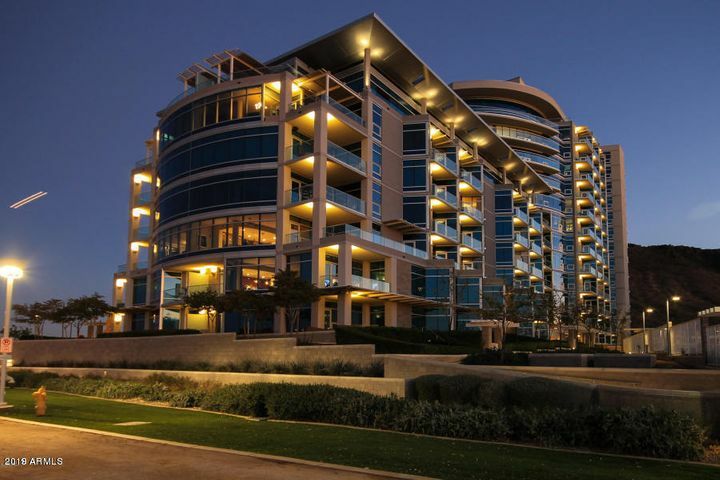 Walk to nightlife & restaurants/shopping.